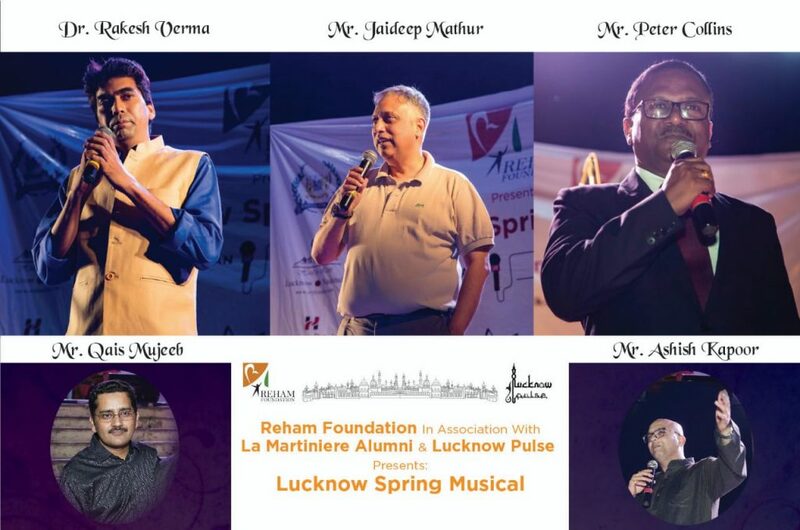 Reham Foundation conceived the Lucknow Spring Musical in association with Lucknow Pulse and La Martiniere Alumni at the East Terrace, La Martiniere College, Lucknow on the 13th of April, 2019. The event was conceptualised as a fund raiser to support the education of under-privileged children at Sir Syed School which is run by the family run NGO. The Reham Foundation focuses its efforts on improving literacy rates and making quality education accessible to the underprivileged. The iconic backdrop of Constantia as the venue for the live musical concert was the ideal location for the cause and to bring Lucknowites together. The event was supported by Hotel Arif Castles, Bikes & Bikers, Caprice Watches, Hoboken and Strat-Board Services. 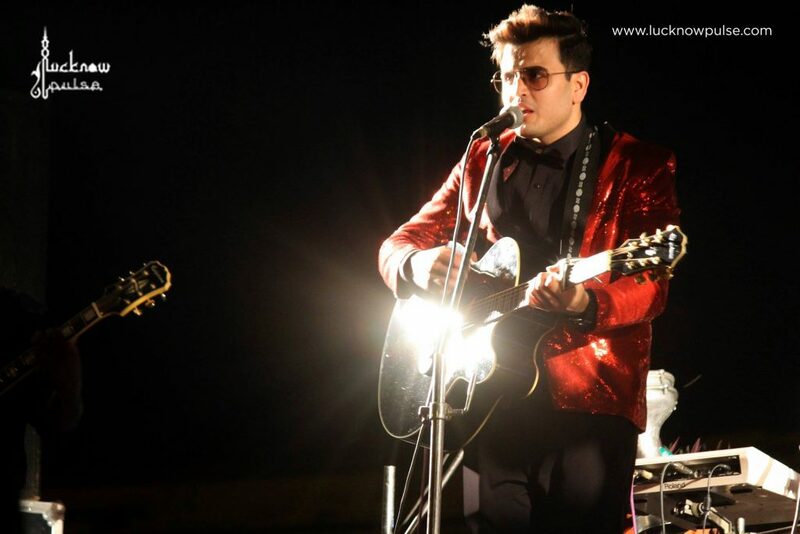 The icing on the cake was the fact that all the performers are the alumni of La Martiniere. The main act i.e. 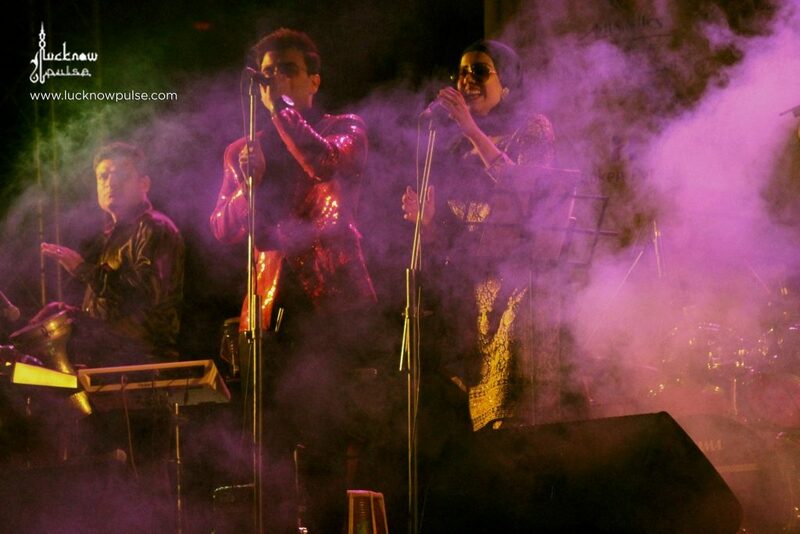 Anamta-Amaan Live was presented by Anamta Khan and Amaan Noor who are highly versatile performers and composers representing fresh talent, they were supported by their lively band and tougher created magical moments. 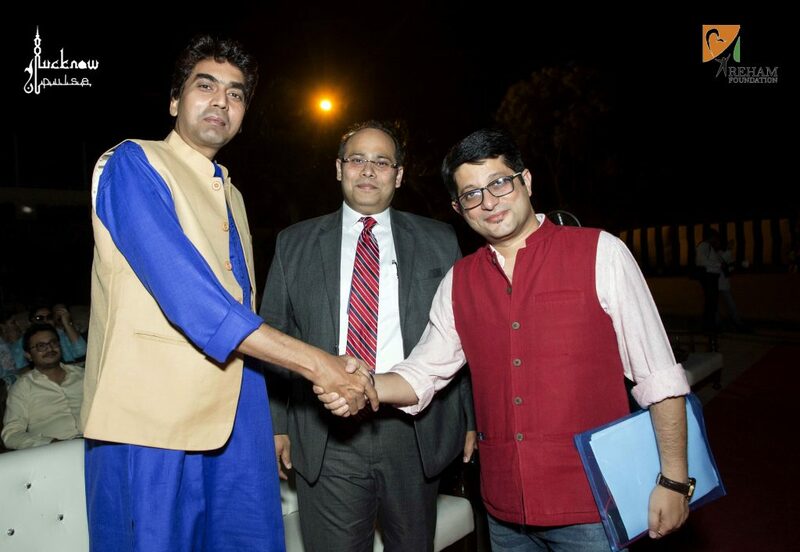 Gaurav Bakshi, another Martinian was the emcee for the evening, he also recited beautiful poetry penned by him. Founder of LucknowPulse – Qais Mujeeb presented the opening address by introducing the event and narrating the purpose, choice of venue and the artists for the Musical. Anamta begun her performance by paying a tribute to martyrs with “Aye Mere Watan Ke Logon…” the beautiful feeling was followed by a colorful fusion of peppy songs. 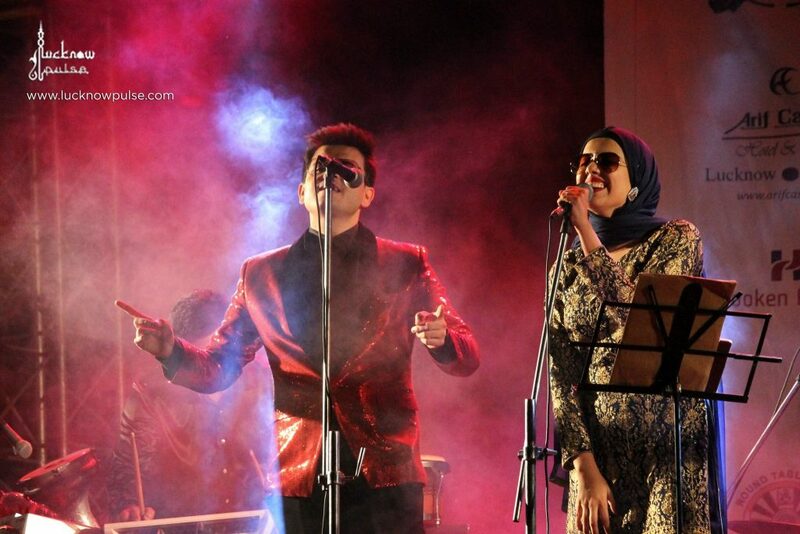 Amaan’s rendition of George Michael’s “Faith” mesmerized everyone. A medley composed by Amaan where he experimented with fusion of Jim Morrison’s numbers with those of Mohammed Rafi and Kishore Kumar was the high point of the evening. Anamta took the performance to its peak with “Damadam Mast Kalandar” making the audience plead for an encore, the trance-setting music made the crowd dance bringing the first half of the main performance to an end. This followed the address by the Chief Guest for the event, Dr. Rakesh Verma, Special Secretary for Industries and the NRI Department, Government of U.P. He spoke highly of the efforts made by Reham Foundation for creating the concept and the importance of child education which is key to Nation building. Dr. Rakesh is a poet by passion, he also shared his love for writing and poetry with the audience narrating his empathy towards specially-abled children who he supports through the Rainbow Society. Mr Jaideep Mathur, President LMA was the next to grace the Dias, he addressed the gathering as the perfect host by thanking the audience and appreciating the efforts of all the performers, individuals and organizations who made the evening possible. A brief address to the audience followed by Mr. Faseeh Elahi, Honorary Chief Care Coordinator and Founder – Reham Foundation, wherein he mentioned the value of education, cohesiveness of the society and creating support infrastructure which helps everyone to succeed collectively and individually. Gaurav Bakshi picking up on the continuity of the event took to the stage bringing about a calm to the evening with his soulful poetry. The delivery of his verses was effortless and made an instant connect with the audience. 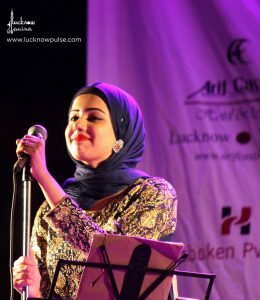 The recitation was an opportunity for the audience to appreciate their very own rising star of modern day poetry from the Nawabi city of culture. The well crafted second half of Anamta- Amaan Live came back to stage and enthralled the audience with more fusions and impressive performances which kept the audience grooving, the highlight that set the crowd in motion was a great solo performance of the Summer of 69 by Amaan which was the closing song of the Musical, this was followed by the College Song which was performed by the band as a mark of respect to the founder of La Martiniere, Major General Claude Martin. This was followed by an address from Mr. Peter Collins, Vice Principal La Martiniere College with special mention of his old students who brought the evening live. The vote of thanks was delivered by CA Ashish Kapoor, Treasurer LMA who thanked the sponsors and event partners for their valuable contribution and made a mention of bringing great cultural events to the campus on behalf of the LMA team. 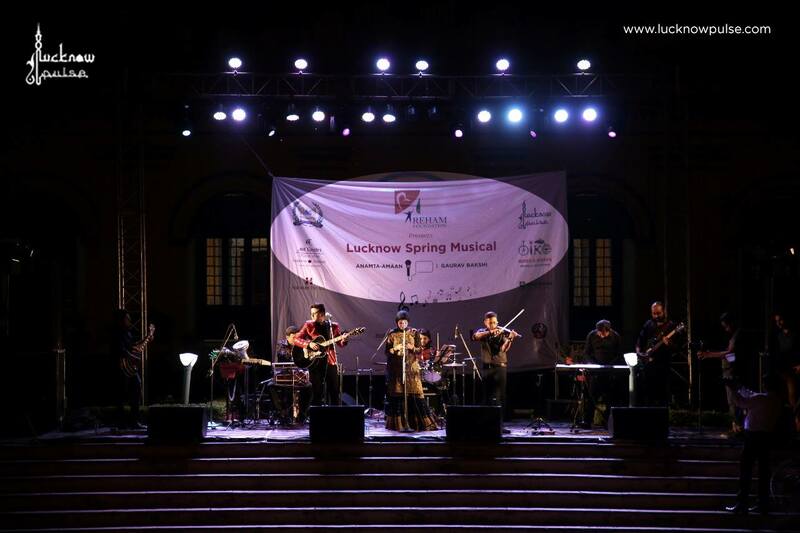 What more could Lucknow have asked for, a dedicated musical to its legacy, serving culinary delights from Arif Castles, Zesty Chai from Chai Peeni hai, delightful songs, heart-touching poetry under the moonlit night. For us at LucknowPulse, this is where we start the second lap of our journey moving from virtual to real, taking a new and better shape. There could not have been a better time to unveil the new version of our website which is now LIVE too.